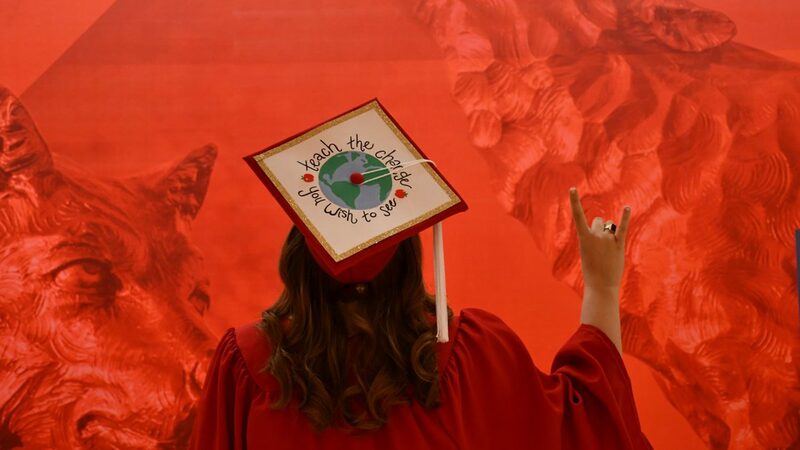 The NC State College of Education will recognize over 150 graduating students during a winter graduation ceremony that will be held Wednesday, Dec. 19, beginning at 1:30 p.m. in the McKimmon Center Room No. 2. The graduates include an expected 134 students receiving their graduate degrees and 24 their undergraduate degrees from across the college’s three departments: Educational Leadership, Policy, and Human Development; STEM Education; and Teacher Education and Learning Sciences. Yolanda Wilson ’18EDD will deliver the Charge to the Graduate Students, and Armando Salazar-Cardoso ’18 will deliver the Charge to the Undergraduate Students. Wilson is a Doctor of Education in Adult and Community College Education graduate and the associate vice president at York Technical College in Rock Hill, South Carolina. She has worked for the community college systems in North Carolina and South Carolina for over 20 years. Salazar-Cardoso is a science education graduate and will teach seventh grade science in Wake County after graduation. During his time at NC State, he was a mentor through the Students Advocating for Youth (SAY) Living and Learning Village and has served as president of the GLBT Community Alliance and worked as an orientation leader, Summer START mentor and Zumba, cardio dance and cycling instructor with University Recreation.